Using a point of sales system Malaysia is recommended for businesses of any size. A POS system Malaysia is a more advanced option of processing sales, which can be linked with other networks to provide valuable information about your business. Here are just some of the many benefits of using an IRS POS system Malaysia for your business. By using a modern POS system Malaysia, you can receive up-to-date information about a locations stock. This allows you to order and restock your retail locations more accurately, which will save you money. This tracking feature can also help point out if there is theft and what products are most at risk. The reason why many businesses are adding POS systems to their stores is to improve their employee’s efficiency. Employees who are using a POS system do not have to memorise a huge amount of product codes or need to input a huge amount of data. The POS system allows them to provide better customer service while making fewer errors. If errors are made, it only takes a few clicks to fix them. This saves your employees time and your business money. Scanning bar codes are also much faster and nearly always inputs the correct information about the product. 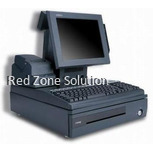 A POS system Malaysia can track the employees who are using the machine. Each employee can have their own login information, which makes tracking each employee easier. No matter the machine that your employee is signed in on, their information is stored on their account. Tracking employee behaviour also allows you to identify staff members who have weak sales figures. This can also help you find employees who are making errors in their counting. No matter the size of your business, price consistency is an important part of customer service. A POS system Malaysia makes it easy to amend the price of products and can share this information across different locations with just a click of a button. You can also offer flash sales using a POS system because you can adjust the price for just one location. This is important for your customers because they know that they will be paying the same prices at all of your locations, no matter what day they shop. When you are having a POS system set up, there are a number of customisable reports that you can have created. These reports are very important for a business because they can contain information like daily sales, inventory numbers, and profits. This information is the key for tracking if a business is successful or not. This information can be sent to the business’s main computer, which makes it easy to track when you are not at the main business location. 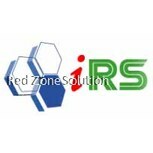 An IRS POS system Malaysia is a great option for any size retail business. Investing a POS system Malaysia can help take your business to the next level and provide you with the information that you really need.